We’ve been lovers of Barry M for years now and whenever they bring out a new item we have to try it! 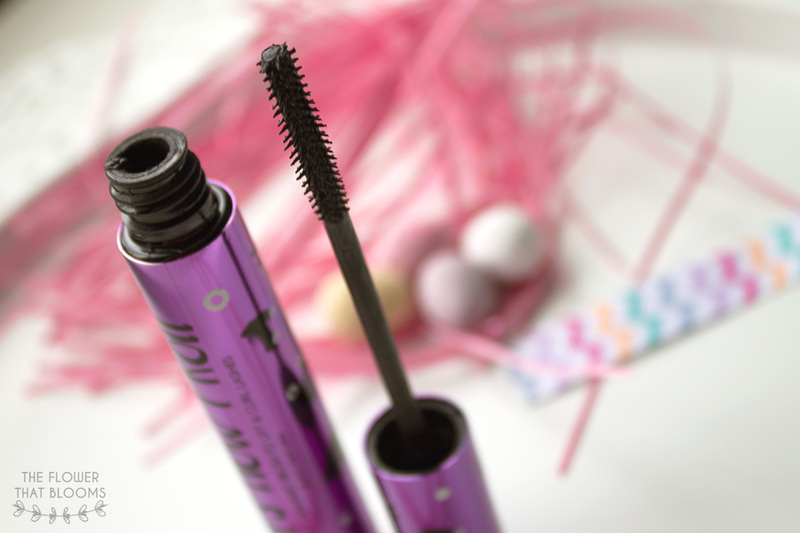 We were both in desperate need of a new mascara so when we saw this product was being released, we thought we’d give it a go. 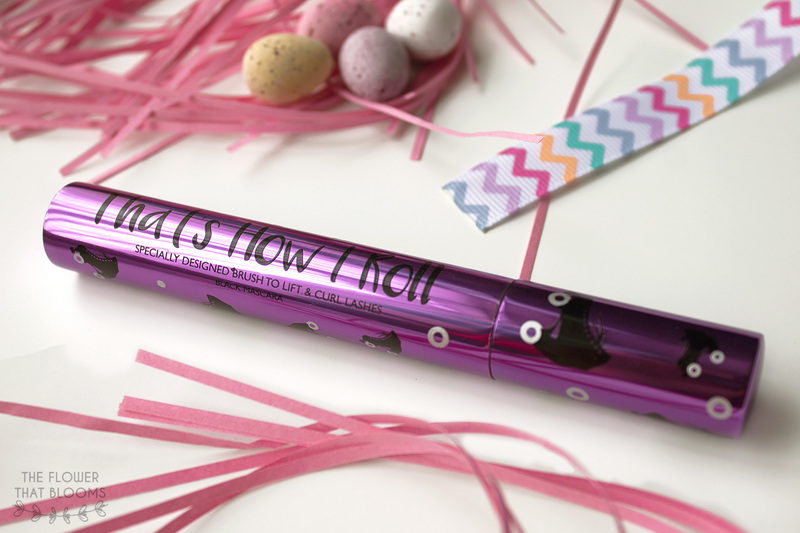 The ‘That’s How I Roll’ mascara is supposed to curl your lashes upwards, making them look more defined and curled. We wouldn’t say the results are absolutely amazing, although it makes our lashes feel separated and thick, all without looking clumpy. The packaging is so sturdy and eye catching and we were really impressed with the brush as it’s plastic and feels really strong. At just £4.99 you really can’t complain either! Since we had Easter in this month it was only right if we chose an Easter themed Lush product! You may have seen this bad boy appear all over our Instagram a little while ago and if that’s the case, you’ll realise just why this is our favourite! Fluffy Egg has the same scent as Snow Fairy, which we’re crazy for. It might only be a relatively small bath bomb but it turns the water such a lovely colour so for only £2.95 we had to stock up on these Easter exclusives! Rachel: I mentioned this in our Spring fashion haul but since it’s my favourite clothing item I bought in March, I had to talk about it again for anybody who missed it! It’s a really casual and comfy t-shirt and although the design is so simple, the unicorn badge on it is soo cute! Lauren: Again, you may have already seen this in our mini spring fashion haul but I’m so in love with this Elephant dress. Elephants are my favourite animal so if something has Elephant print on it, it’s likely to be in my wardrobe! At only £10 from Forever 21 it was such a bargain too, I can’t wait to get lots of wear out of it over the next few months. Rachel: At the beginning of the month, the Rapunzel Tsum Tsum collection was released! As a huge Tangled fan I had been waiting for these for months and I was gutted when the normal Pascal one had sold out! I did manage to get the rest of the collection though and Rapunzel is my favourite out of them all (obviously!). Look at that hair, adorable! Lauren: When making a recent order on Forever 21 I came across this tote bag and it was screaming my name! I love pizza so much that I could live off the stuff, in fact it’s my favourite food in the whole wide world. Tote/canvas bags are of high importance to me right now as although carrier bags are only 5p I want to try and stop buying them! For the small price of £1.50 I decided that I had to purchase this bag. 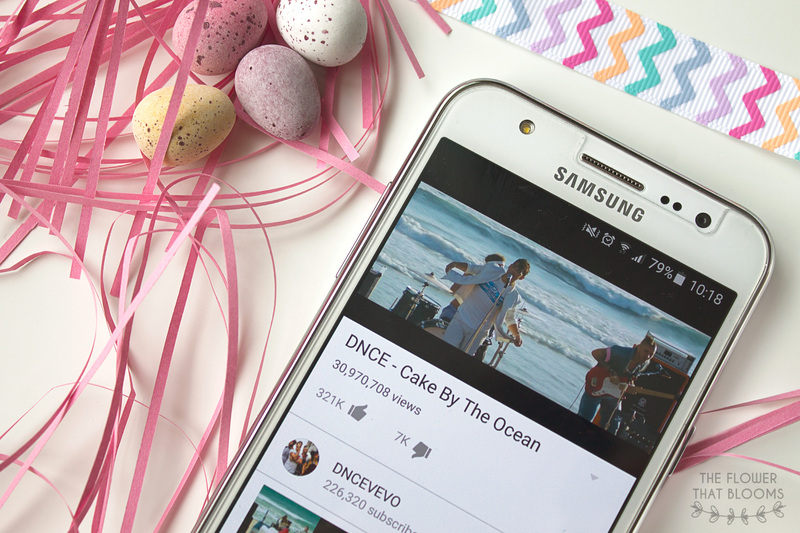 This is a different one for us but the song we’ve not been able to get out of our heads lately is Cake By The Ocean by DNCE. It’s just so catchy and it’s just one of those songs that’s really fun to sing along to! It also reminds us of the days that we used to love the Jonas Brothers. Other than the numerous amount of Creme Eggs I consumed over Easter, my favourite part of March was seeing one of my favourite bands, Nothing But Thieves. I saw them at their hometown show, which kicked off the start of UK tour. I was standing right at the front to witness them playing almost the whole of their debut album and it was amazing! To top off the amazing night I had, I managed to get a setlist and then meet the guys and get it signed! 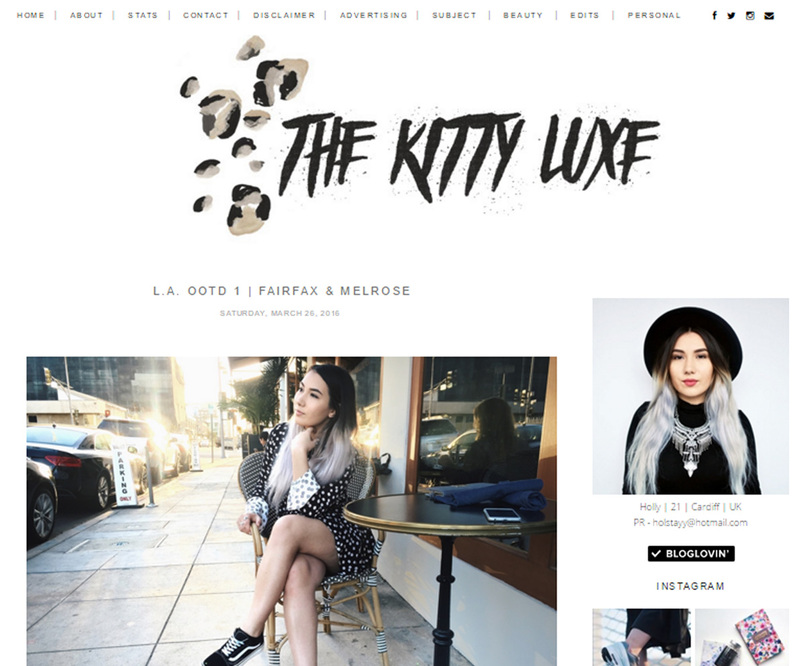 One of our favourite blogs from March has to be The Kitty Luxe, run by Holly. 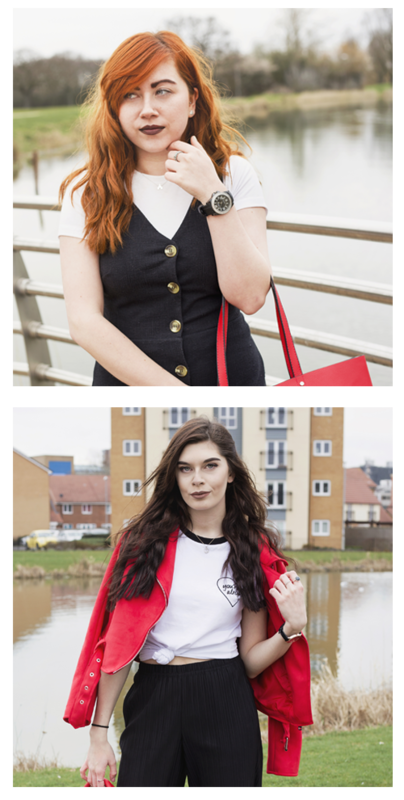 Her blog is filled with all kind of posts, from beauty to homeware but her fashion posts have got to be our favourite! She has a unique sense of style and manages to look so pretty in anything she wears. One of our favourite fashion posts of hers is her ‘Gothic Romance Edit’, isn’t that dress just beautiful? Sophie has already been our blog of the month but we couldn’t leave her Instagram out! Her page is full of bright photos with unique angles, which are all perfectly set out. We don’t know how she manages to keep her Instagram looking so perfect but it’s definitely one that we love seeing pop up on our feed! If you don’t follow Sophie already, go check out her Instagram now! 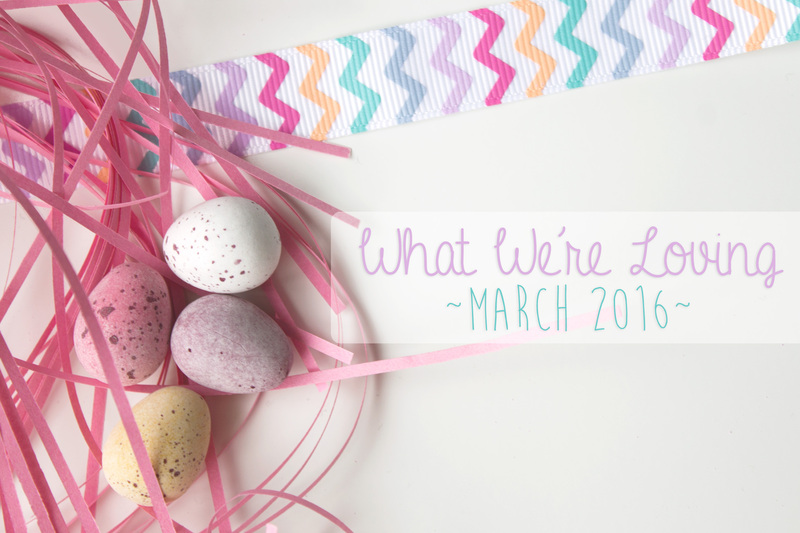 We really hope in April we can start to pick things up a bit with our blog. When we’re not busy at work, college/uni, or have a pile of coursework, we try to get out and do more things, meaning we don’t have a lot of time left over for blogging. We have a few posts planned which will hopefully interest some of you who read our blog though! But for now, happy April! Love the Unicorn Top. This will be a must have for my 13 year old daughter. She loves anything with Unicorns on, as do all her friends! RAAAPUNZEL!! I’m in love with that movie. I can watch it over and over and over again. I still want a rapunzel Funko Pop. Hoped I could get one at Dutch Comic Con, but no-one was selling that one. Weirdos.